How To Create A Taxi Booking App Like Uber or Careem? App Builder Appy Pie January 25, 2018: In this post, we will discuss the wonders of an on-demand business and the must-have features for a taxi booking app. The highlight of the blog is a step by step tutorial video on making a Taxi booking app with Appy Pie’s app builder! 1.1. What Is On-Demand Business? 1.2. Why Make a Taxi App? 3.3. How Is It Replacing the Taxi? 9. What Would You Pay For? 10. Now Comes The Fun Part! Build Your Own Taxi App with Appy Pie! Getting a cab or taxi on time seems to be the toughest job sometimes. There are times when you really need a taxi but can’t seem to find one or face the problems of overcharging and no one to complain to! When too many people faced this problem, a fabulous solution came up in the form of an on-demand taxi booking app. 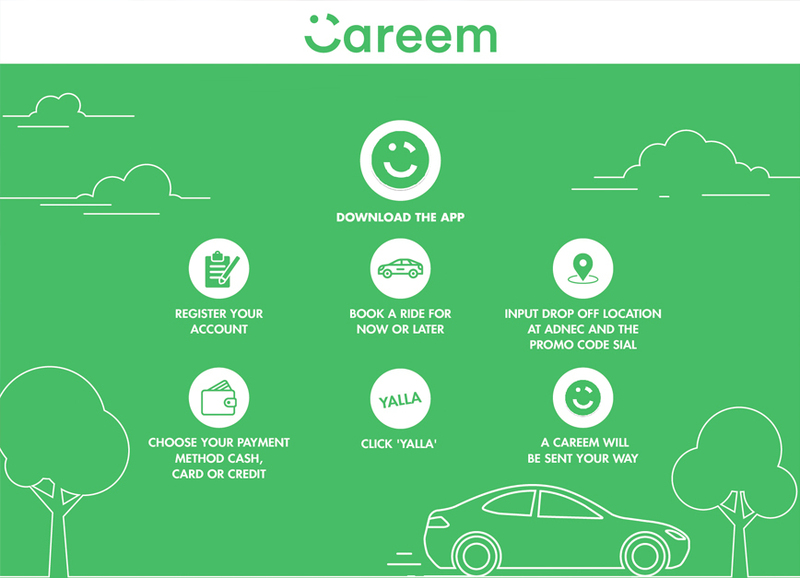 While Uber took the global market by a storm, Careem took the Middle Eastern market from right under their noses to establish uncontested dominance. Appy Pie’s app builder lets you make an amazing taxi booking app with the best possible features at the driver and the passenger end with a well-designed admin panel to monitor the whole app in an efficient manner. Let’s help you become the next Uber now! On-demand businesses are the flavor of the season and it all might have started with the California based on-demand taxi app – Uber. The companies today are turning their business digital using on demand products. As an example let us consider that you have a spa & salon, wouldn’t it be wonderful if people could call your massage therapist or a hair stylist for a home spa or grooming session? It is an intriguing concept indeed. Appy Pie’s app builder lets you take this concept of on demand business and helps you create a taxi booking app with no coding skills! So you have a thriving taxi business already with a great website, or you are a startup only getting into the business now, why would you want to make a taxi app at this stage of your business? A valid question. Today taxi apps and a number of taxi mobile solutions are disrupting almost revolutionizing the market in quite a few countries! Companies that have a taxi service of their own may adapt and build their own taxi service app, but an on-demand taxi app is established to have a much higher user engagement and retention rate. And this is simply because of one reason only, the taxi service is indispensable for around 91% of the people at a global level. Hence as a budding entrepreneur, if you are looking to build a taxi booking app like Uber or Careem, and charge a percentage from the ride fares, it is definitely a great idea for an app! Did you know that the average number of daily Uber rides is 1 million? Let’s take some time out and talk about the different kinds of taxi apps out there and the way they are developed. There are two major kinds and we will discuss the commonalities, characteristics and the differences between the two broad types. There are a number of different types of taxi booking apps that are being built everyday in the market. One type however, is especially suited to those taxi businesses that are already established and have their own fleet of cars and drivers. It is these businesses that need an app to serve as an extension of their service. When a company like this develops an app they are in effect making it easier for their customers to book a ride, and are also opening themselves up to a larger client or customer base. Building a taxi service app brings in a lot of ease and comfort for the drivers as well. For services like this, you would need a server that would be able to handle multiple user requests and would ensure that the taxis are delivered to the current user location in the shortest time possible. If you are just starting out in the business of taxis, there is a good chance that you do not have a garage full of limos. For the inspired entrepreneur in you, there is an option to develop an Uber like taxi booking app where you provide a mobile booking service to taxi drivers. There are two different ways – a simple and a complex way to do it! The simpler way to provide a taxi booking solution involves a single app for the users which offers a list of cab services with all the details like prices, and contact details with the feature of being able to call directly and order a cab for themselves. An added feature that you can consider is a map with destination points and a fare estimate for the ride, taking the price per unit, distance, mileage, or any other factors. This is simpler in its functioning as it doesn’t even need you to have a server! However, it must be understood that there would be a constant need to monitor and update the app’s database, as the fare prices change quite frequently. This version is quite like Uber and is complex and full featured taxi booking solution. You will need a server here and a lot of investment in the back-end development in addition to the investment you make at the front-end. This involves two versions of the app, one for the passenger or rider and the other for the taxi drivers. This complex version entails forming partnerships with taxi companies or with individuals. Through the GPS in the mobile, the server identifies the exact location of the rider who is trying to book a taxi and then notifies the driver closest to them. In this app it is crucial that you are aware of all the drivers’ locations. In order to have the exact and updated information about the location of the customer, requests may be sent to the server at a pre-defined interval – it might be an hour, 10 minutes or every second. Uber is an on-demand taxi booking app which was the first of its kind to have grown to the scale that it did. What began in 2009 as Uber Cab later named Uber in 2011, operates today in 633 cities in the world over. Uber develops, markets, and operates the Uber Car transportation and food delivery mobile apps. The drivers who choose to partner with Uber use their own cars, but they can even rent a car to drive with Uber. It is the business model that has really worked for the taxi company. They constantly try and rake in a good number of prospective drivers who may bring in their own cars. Following this, an arrayed transportation network is established that has an efficient distribution system. The business model for Uber falls under the Aggregator Business Model category or On-Demand Delivery model. In this business model, the firm collects and organizes different elements to put together a service and then make this service available to the customers under one unified brand. In Uber’s case this business model is in the context of taxi rides. Uber might be a taxi booking service but it doesn’t own any cars. Instead driver, who are referred to as partners are brought together by Uber, and use their own vehicles and drive themselves. Uber doesn’t employ its drivers – instead they partner with them. They have always asserted that they are not a transportation service, but a technology or a service provider where the drivers have the flexibility to set their own work structure and hourly duration. They have the choice to accept or reject the terms and conditions of the contract and may partner with Uber for a time span of their choice. It is a platform for people of all ages and social groups with one thing in common that they need a cab. Whether it is an office goer, a college student, a car owner whose ride broke down, a tourist, or anyone who is unable to travel on the public transport network for any reason – Uber has been established as the preferred mode of transport for each of them. In each and every market, Uber has managed to replace the traditional taxis on the road and it is for the reasons mentioned below that people prefer getting an Uber in place of a taxi. You won’t be refused a ride, unless there are some dire circumstances when the driver is unable to reach you in the designated time, or there are no cars in the area. There is a proper grievance redressal system where you can complain about any mishaps that might have happened on your ride. There is a clear indication regarding the time the driver is going to take in order to reach you. It allows you to connect with the driver and all the details of the driver including their picture, contact number, and car details are at your disposal even before you begin your ride. The routes may be altered in case you agree to it or ask for it. UberPool, the sharing service offered by Uber offers the same ride at a drastically lower rate. According to the number of people who would be travelling and the standard of travelling you prefer, there is a great variety of cars available to pick from. There are two major ways in which Uber makes money. One is through the taxi fares that they charge the passengers or riders and the other is through promotional offerings and partnerships that generally involve third parties. Uber collaborates with drivers or owners and fix a minimum charge at which they will operate. Uber helps them get online bookings from a mobile application and charges a commission from them. This commission is anywhere between 20 and 25% of the total amount charged for the ride. On days where there is bad weather, heavy rains, bad congestion of traffic, and on public holidays, the demand for rides might be heavier than the number of taxis available. On these days the clients face price surges on their rides. This, however is clearly communicated to the riders before booking the ride, in the interest of transparency. Customers get benefits, gifts, or treats from the marketing campaigns run by big brands. In the BMW campaign which was run in select cities, riders got to ride in BMW 7 series as they were getting promoted. Companies get their exposure and audience. Careem is a transportation network company established in 2012, based in Dubai that offers services in a total of 80 cities today in the Middle East, North Africa, and South Asia. At the time of its inception, in July 2012, Careem was a website-based service for corporate taxi bookings, and 5 years later, today it has evolved into a transportation network company that offers taxi booking services for everyday use. The business model for Careem, begins with its name which in Arabic means “generous”. The philosophy of this transportation network company lies in generosity for all, including the customer, the captains (as the drivers are called) and the colleagues, especially while dealing with regulatory authorities. The company’s business model is a legacy of how it started. Careem was started by 2 ex-consultants in Dubai who travelled a lot around the Middle East. It was their trouble in getting a reliable car for the team’s transportation that led them to think in this direction and quit their job to start their own company. They began supplying pre-scheduled cars to firms that needed their employees to be mobile in order to unlock a lot of demand in one go and produce a stream of revenue to keep their bootstrapping venture going. As these big companies found an easy and convenient interface to book their cars with guaranteed & reliable timely service and customised invoice with all the details about their usage patterns. Gradually these corporate professionals began using Careem for their personal travels too, which is when the need for the on-demand model arose. As the supply of taxis reached a respectable number, Careem conveniently moved to the new model with a favourable ETA for on-demand bookings. Their business model is quite similar to Uber, and is both B2B and B2C with 2 prominent products – pre-scheduled and on-demand (NOW) bookings or services. The pricing for their cabs is pretty similar to the other taxi cabs where the customers are charged on a per km and per min basis. If you are planning to build an on-demand taxi app in this competitive market and you want it to be successful, the app needs to offer convenience, reliability, and professionalism through a set of well designed features. Following are the features that Uber uses in their app to provide a stellar experience and Appy Pie would help you make an app just like that! Uber tracks the location of the riders even when they are not using their app which is what helps them find the nearest available driver in a matter of seconds. The moment the rider finishes ordering their taxi, Uber shows them a countdown to the arrival of the driver. It is this feature that assures the riders that the taxi will show up and the uncertainty is out of the equation altogether. In case you are trying to incorporate this feature in your app and want your app to track their location while the app is running in the background, make sure that you ask them for their permission to share their personal location data. When you make your taxi booking app with Appy Pie’s app builder, the integrated location tracking feature would help the app user understand the timeline of the driver’s arrival. As the drivers are deciding which taxi app to get associated with, an Uber like app with a great quality of navigation experience is bound to matter to them. 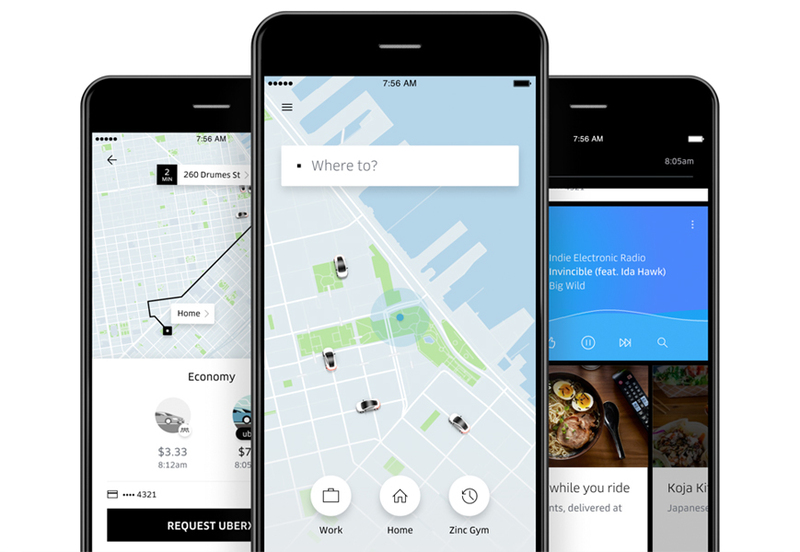 To help get the drivers navigate through the streets, Uber uses Google Maps in addition to their own mapping assets which they have acquired through Microsoft’s Bing mapping and startup deCarta. This is especially important for Uber due to their global presence and expansion, however, if you are not planning for a global expansion in the next couple of months, you need not employ multiple location data sources. All you need is Google Maps or Apple’s MapKit! Base fare – this is a fixed fee for an Uber ride which depends on the area you are in and on the type of Uber Taxi that the rider might select. Booking Fee (earlier known as ‘Safe Rides Fee’) – this is another fixed component of the total charges that includes the ‘operational costs’ like background checks for the driver. The cost per distance unit will be calculated using GPS considering the mileage of the route taken by the rider and the price list. This price would need to be submitted to the user before the car reaches the rider. The payment system integration in Uber’s automated payment system is as convenient as not paying at all. The fact that you do not have to reach for your wallet makes you feel good at the end of the ride. Though Uber has lately included the “Cash” payment mode, but the automated payment mode is still preferred by most riders because of the aforementioned feel factor. It is important to find reputed and popular payment partners that would evoke trust in the riders. Including a “pay by cash” or “pay by credit card” would help you cater to a larger audience. The key issue here is transaction security and ease. The payment integration in your taxi booking app made through Appy Pie’s app builder offers a secure gateway and encrypts the payment details of the users so that they can rest assured. Uber is known to be more reliable than the ordinary taxi services. It is because of the information that they dispense to the riders and the drivers about each other that the reliability has been established and strengthened. As the riders get in the car, both the parties have more information about each other than they would have had if it were a traditional taxi service. A two way rating system gives the riders and the drivers a sense of control and security while providing a curation mechanism for drivers and riders alike. This is a feature that needs to feature on your app in order to have some kind of quality assurance, to address grievances and in all give the riders and drivers some control and a sense of safety. The competition in the taxi booking apps market is getting harder and harder. Uber has thus introduced some driver focused features to keep the drivers satisfied and interested in sticking with them. The taxi booking service can only function smoothly if the drivers are engaged, satisfied and have a profitable deal ahead of them. Uber drivers can now “pause” the incoming new ride requests without logging off, they can charge passengers for being more than 2 minutes late, and overall have a stronger control on their dealing with the taxi booking app giant. Have a strategy in place to attract the drivers to partner with you and to keep them interested for a robust on-demand taxi app to function smoothly. The on-demand taxi booking app is different form a social media or photo sharing app in the fact that it is in fact a combination of two versions of the app where one is used by the passenger and the other by the driver. The provision to add pages and specialized features for the driver’s version of the app make the taxi booking apps made on Appy Pie the best! The passenger version of the app is the version that the customer or the passenger would interact with. It has its own set of features that are designed as per the requirements of someone who is looking to book a taxi with your app. This feature allows the passenger or the user to register in the app directly using their social media login or create a new profile on the app itself using details like their phone numbers or email addresses. This feature would allow the passenger to hail a taxi on-demand or book one for later. This is a call you need to make – do you want to offer one of these features or do you have the scope and bandwidth to offer both. This feature is great for passengers as it allows them to pay automatically from within the app and not worry about reaching for their wallet. This can be done through a simple registration and adding your cards or integrating a digital wallet. These notifications may be employed to send out information about everything beginning from the event where the driver accepts their ride request. These notifications also convey driver details and information including the model of the taxi, the number of passengers, colour and number of the car, and the estimated time of arrival of the taxi. This lets the passenger go back and take a look at all the rides that they have taken with your service. This history provides them with a detailed transcription of all their previous trips and maintains a detailed record. This feature provides and estimate of the fare that the rider would have to pay for their ride. This estimation is provided prior to the booking. This feature allows the passenger to rate the drivers, and leave a review about their trip including their whole experience or anything that stood out in positive or negative light. The passengers can rate, rank, and review the drivers in your taxi booking app so that you can improve their experience with your app. This is a list of features that have been most talked about and requested by users, the features that they would love to see in their taxi booking app. This is a feature that lets the passenger use GPS to mark or point their location without having to type out the actual exact address. This is a much coveted feature that would allow the passengers to split their bills among themselves. This offers the passengers the freedom to select a different driver for the impending trip. It shows all the cabs that are there in the vicinity and tracks the drivers all through the journey in real time. The in-built messaging feature allows the driver and the passenger to interact or communicate from within the app. This is a great way to boost customer acquisition and retention with badges, deals, offers, leadership boards etc. Generates codes or digital coupons to offer a discount for trips to loyal riders. This enables the use of voice commands for hailing taxis. With this feature users would be able to add themselves to a waitlist during rush hours. It saves the riders the trouble of having to refresh the app over and over again. The driver version of the app is the version that the driver would interact with. It has its own set of features that are designed as per the requirements of someone who is using your app for their business purpose and rendering their services as a driver. The profile for a driver is more than just a simple register and login process. The drivers need to go through a verification process where they provide their details including the license, registration and other details to be able to log on to the network. The status function lets them display their availability and schedule for their own benefit and for the benefit of the customer. This alert may come through a push notification and offer information on the new incoming booking request regarding payment and route details. This information lets them decide whether they want to accept or reject a new incoming request for booking. This feature lets the driver decide the best route to the passenger and on the actual ride as well. Appy Pie’s taxi app builder offers the best navigation features to help the driver take best routes! This feature gives the drivers an estimate of the fare (including discounts or offers) that they would receive for the booking. The driver too gets a fare estimate with the help of special features on your taxi booking app. This feature gives them an overview of the trip statistics, earnings and payroll. This feature lets the drivers have a fair idea about their earnings through the app. This is where all the action happens! The admin panel is essentially a robust web app to store, manage and review all the in-app activity. The admin panel should be designed to provide a quick overview of all the processes, suggest the best navigation to the drivers for the rides, manage revenue and payroll and be able to collect data on the users so that you can enhance the app. This is best done by linking it to Google Analytics especially when it comes to monitoring marketing activity. Though this might be offered as an optional feature, but in order to provide a flawless service without hassles we would recommend investing in an Admin panel right from the start. Appy Pie’s taxi booking app builder has a highly efficient and well designed admin panel taht lets you keep an eye on the comings and goings throughout the app. It is difficult to put a generic tag on the development of an on-demand taxi booking app. However, here is a checklist of different aspect that you need to factor in while calculating the investment that you would need to make in the whole process. This might seem a little too overwhelming to you and it is natural for you feel a little lost. But, you don’t have to lose out because of it! Appy Pie’s app builder does all the ground work for you! Once you have decided to tread on the path to becoming the next Uber or surpassing them, it is time you came to us. 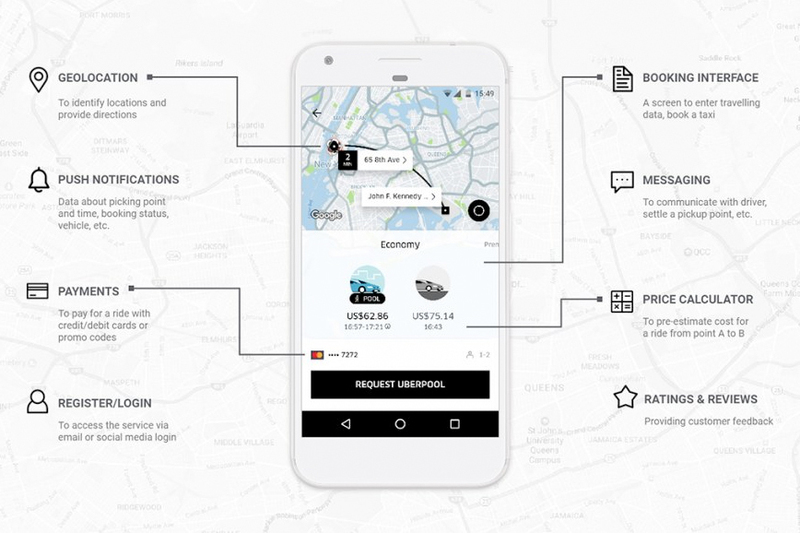 All you need to do is follow our step-by-step tutorial for building your taxi booking app and make your own app without any coding or programming skills!